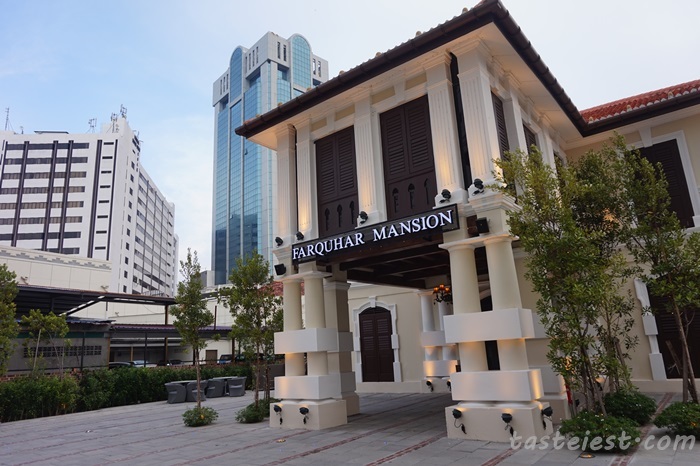 Since when Farquhar Mansion has become our frequent visit restaurant? I really don’t know why it become so attractive after our very first visit to Farquhar Lounge few months back and recently we try out their Afternoon Hi-Tea as well. We have good experience in the last 2 visit where the environment and service are just awesome, although some of my friends said that the price is on the high side but that is what you paid for, good environment, good service with good food quality. In the past 2 visit we did not have any chance to try out their dinner menu and this round we invited HH and Jazz couple to visit together. 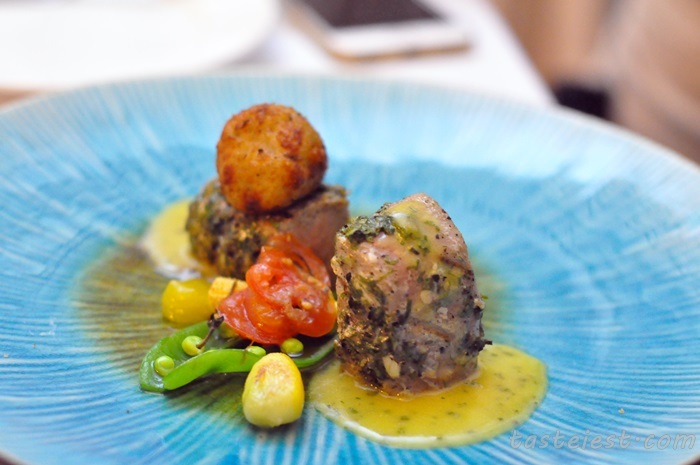 Like most of the Fine Dining Restaurant where a fine set menu include starter, appetizer, soup and dessert are predefined by chef while customer has the option to choose on main dish. By the way, don’t be surprise by having additional course on your dining because they do gave us extra two, three, four course. Duck, Chicken, Tuna, Cod Fish, Lamb, Beef and Lobster are the available option for main dishes with pricing from RM178 to RM238. 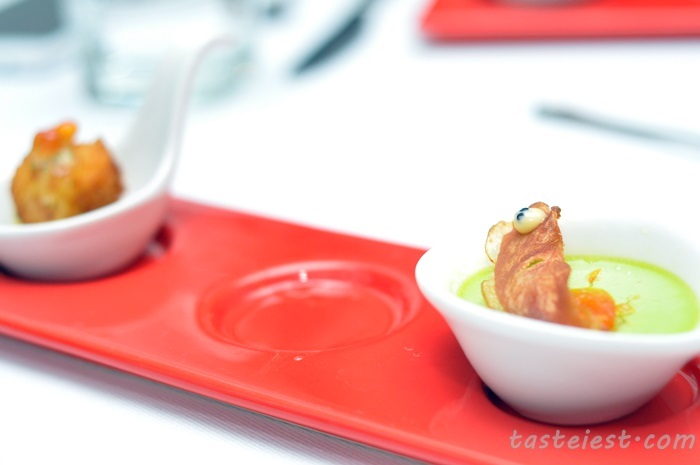 Amuse Bouche is a combination of two starter which on the left is deep fried salmon ball with fish roe while on the right is steamed asparagus with egg top with slice of air dry duck breast. 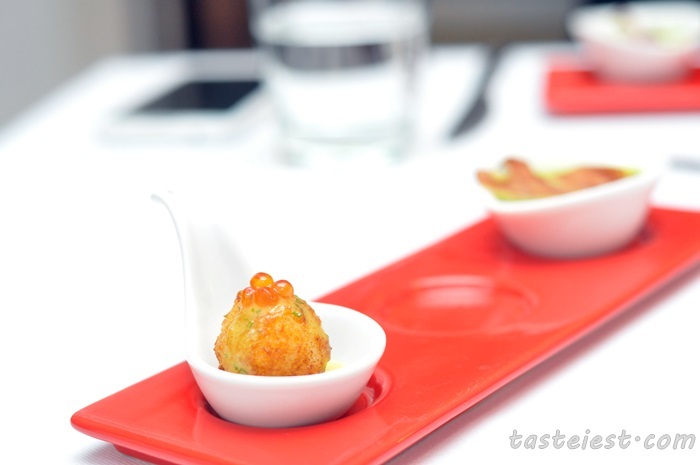 Deep Fried Salmon Ball is extremely crispy, full of Salmon aroma and has a strong taste of fish sweetness. While the Steamed Asparagus Egg is so smooth and full of Asparagus fragrant with mild egg flavor, air dried duck breast is surprisingly good and crispy. Ciabatta and Whole Grain Bread provided with home made Black Olive Butter, Sun-Dried Tomato Butter and Homemade Unsalted Butter. 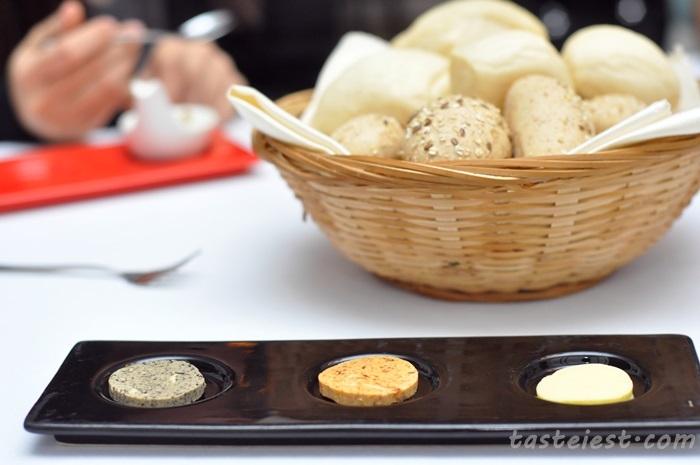 Among the three butter we had, personally I preferred the Sun-Dried Tomato Butter very much, small pieces of dried tomato can be tasted and it has mild sourish flavor with buttery texture. Fresh Chilled Oyster with Cauliflower Mousse, Lobster Gelee and Caviar. It is recommended to bring it to your nose and inhale the super-fresh aroma, slurp the meat and juice then give it a good chews. 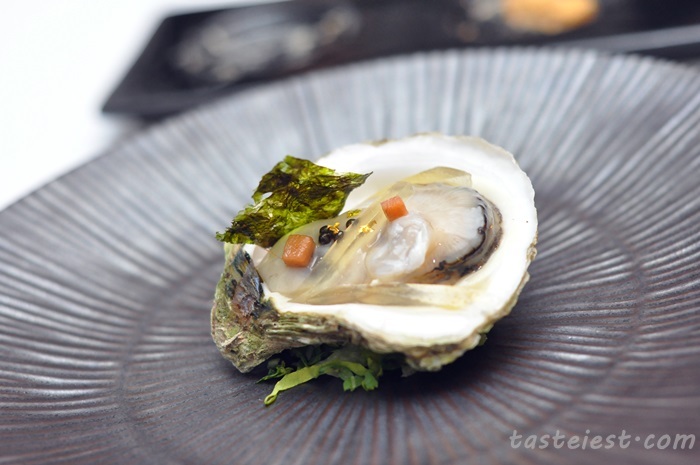 Immediately we can taste the meaty and freshness oyster together with mild lobster taste and cauliflower green taste follow by Caviar springy texture. 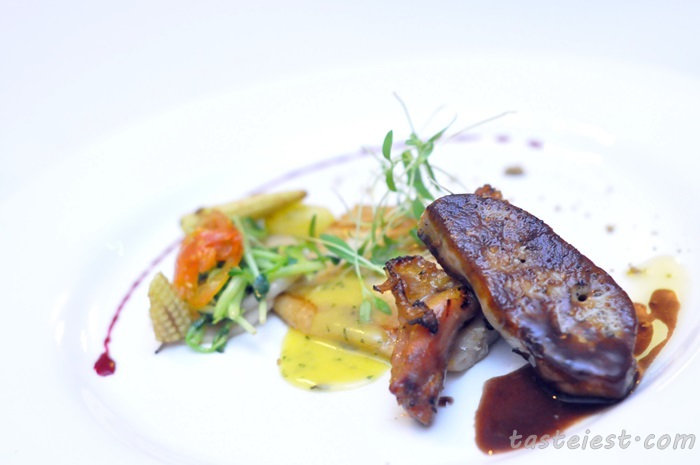 Seared Foie Gras with Duck Rillete Tarlet, Apple Salad, Plum and Apple, Chutney and Port Wine Emulsion. Wait, why they serve main dish so fast? soup should come next. Well, when we are puzzling why? why? why? Waiters immediately explain to us this is one of the starter and we all are shock by the big portion. 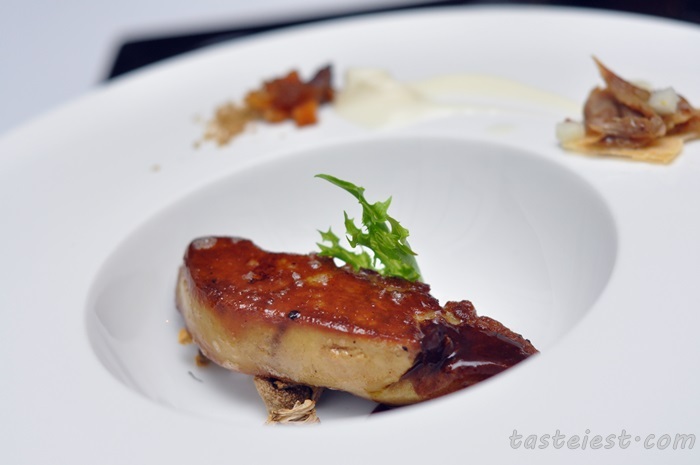 The Foie Gras is nicely seared to a little bit char on outer layer which gave it a great grilled flavor and nicely sear the Foie Gras, it is nicely flavor with salt that gave a creamy and melt in mouth texture. 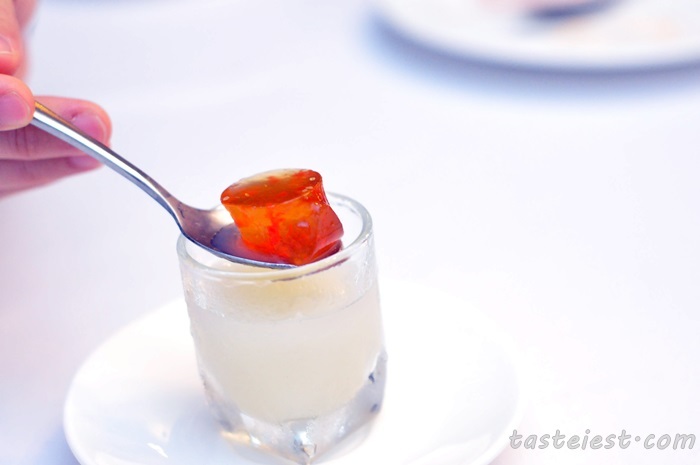 On top of that, side dishes provided taste sourish and sweet which make a balanced taste with Foie Gras. 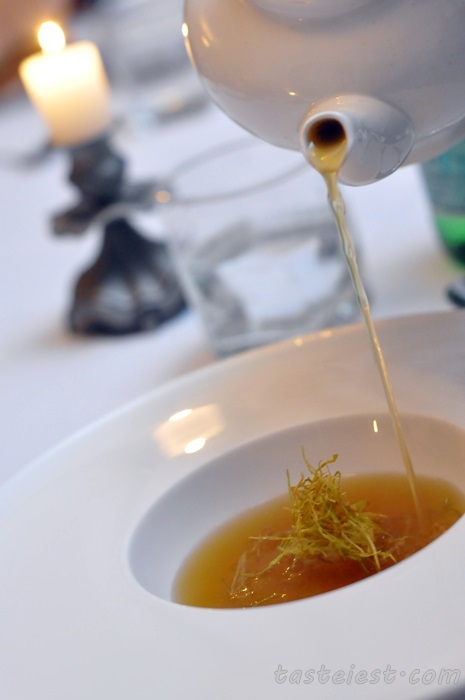 Onion Consomme with Truffle Scented Onion Flan Onion Confit, very simple and pure onion flavor soup. The soup was first served with a chunk of dehydrated leek and onion consomme will be added on later. The consomme itself taste sweet, natural onion sweetness but the add on dehydrated leek make up the score which help to boost it flavor further. A cup of Mango Sorbet was served before main dish to help flush our palate. It is very refreshing. 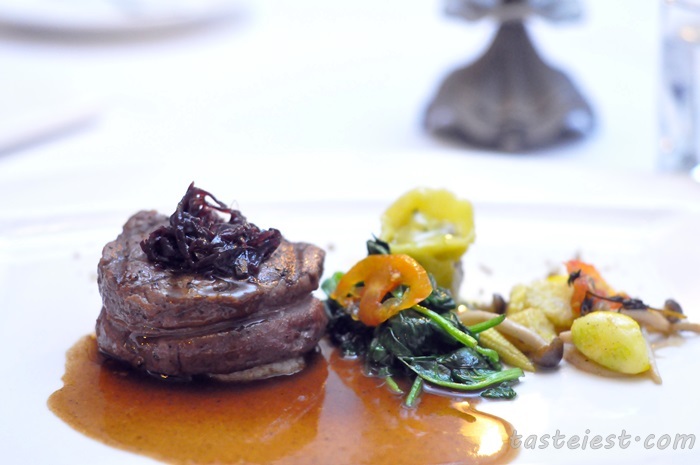 Black Angus Beef Tenderloin with Beef Cheek Tortellini, Potato Cream, Onion Jam, Baby Spinach and Beef Jus. I really enjoy the medium cook beef which are nicely cook to perfection to gave a warm red center with nice soft texture, topping with Onion Jam that taste sweet is just awesome. Cod Fish with Potato Pea Puree, Miso and Lemon Pudding, Asparagus and Seafood Nage. 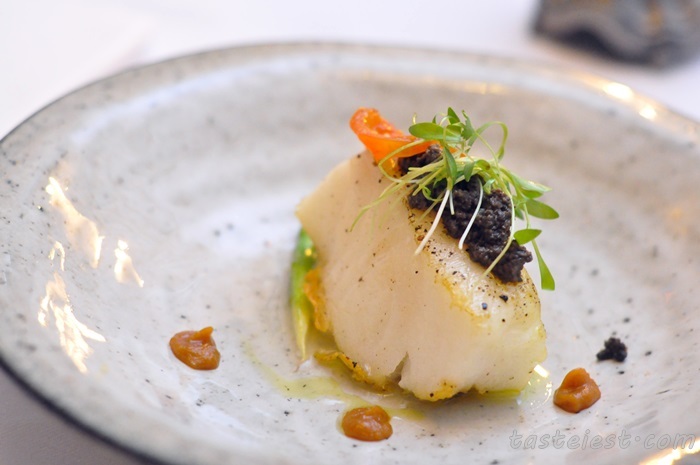 Very generous cut of Cod Fish is nicely seared which retain it juiciness and natural freshness in it, Cod fish is extremely soft in texture and the additional side ingredients making it taste even better by introducing another flavor to it. Jazz and Trista order Lobster and Lamb, you may read their review at Jazz Blog. 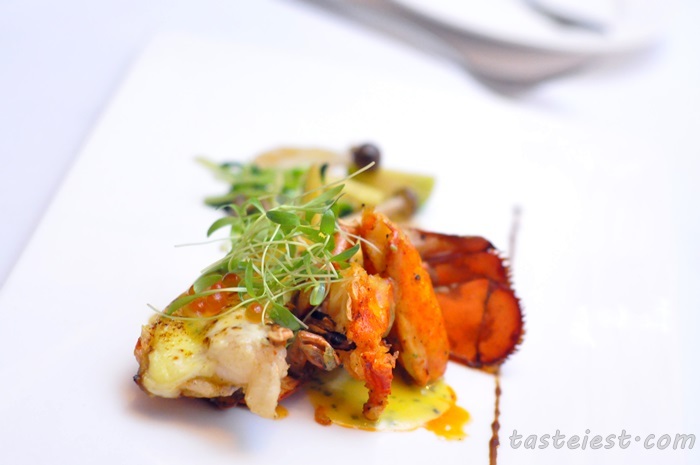 Lobster with Gruyere Cheese, Asparagus, Glazed Baby Carrot and Potato Confit. 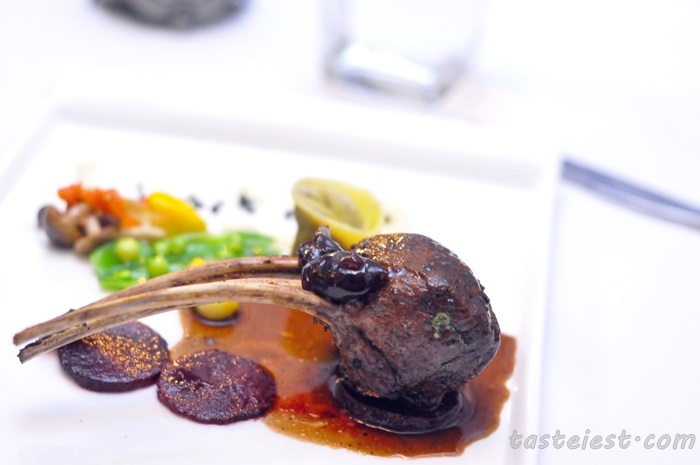 Premier Lamb Rackwith Pulled Lamb Ravioli, Roasted Beef Root, Sweet Pea and Lamb Jus. HuiHui and Da Xiong order Chicken and Tuna, check out HuiHui blog for detail. 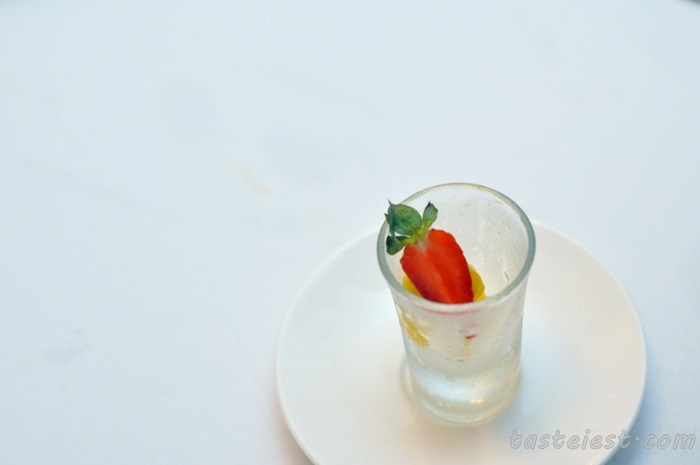 Lemonade with Lychee Crush Ice and Wolfberry Pudding, a small surprise inside the crush ice where wolfberry pudding are added into it. 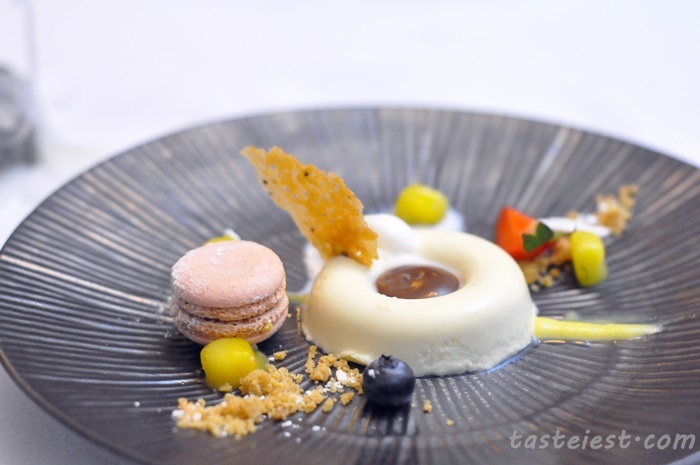 White Chocolate Coconut Parfait with Mango Basil Compote and Earl Grey Crisp. A plate of artistic dessert just presented in front of us, great use of various color and plating making this plate of dessert look so unique. Combination of white chocolate with dark chocolate to create the balanced of taste together with various sourish fruits and a Macaron.